A list of some neurodivergent folks around the world and their supporters/professionals. This is not an all inclusive list. There are millions of individuals who are autistic/Aspergers, and millions more who are neurodivergent and non-autistic. Join me (Sam) on Facebook or Twitter to meet many more awesome neurodivergents! I started this list to keep track of all the people and resources I was finding/meeting. There are many awesome people that aren’t listed here! The Spectrum Women listed here and at Spectrum Women Magazine. Danny Raede of Asperger Experts, based in Seattle, WA. A trainer, writer, educator, speaker, and more. Amythest Autistic writer, public speaker, advocate, activist, and producer and host of the video series Ask an Autistic. Judy Singer, coined the term “Neurodiversity” while calling for a new “liberation” movement for people who were discriminated against for being neurologically different. “She identifies as being in the middle of 3 generations of women somewhere on the Autistic Spectrum’. Her 1998 Honours Thesis from the University of Technology Sydney, was the pioneering sociological study of this then new kind of disability.” interview here. Michael John Carley As the Founder, and first Executive Director of GRASP, the largest organization in the world comprised of adults on the autism spectrum, Michael John Carley has contractually spoken at almost 150 conferences, hospitals, universities, and health care organizations, including trainings at numerous school districts and Fortune 1000 companies. Anita Lesko BSN,RN,MS,CRNA author and advocate. Anita is autistic. Dena Gassner, LMSW advocate, writer, and national presenter on topics related to neurodiversity and autism. Dena is autistic. More about Dena. Jeanette Purkis author, public servant, and passionate advocate for autistic people and their families. Jeanette is autistic. Her Facebook page. 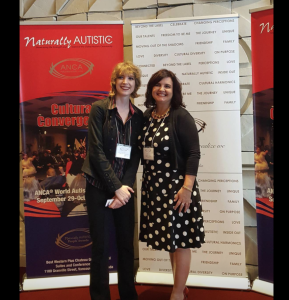 Emma Goodall, Ph.D. author, blogger, autism advisor, education consultant and autistic. Dr. Judith Gould, Ph.D. Director of the Lorna Wing Centre for Autism (in the UK). Focus on autism as it relates to girls and women. Dr. Frank Gaskill, PH.D. specializes in autism and has his own Aspie Show. Not autistic. Marvelous clinic. Tony Attwood, PH.D. (not autistic) specializes in Asperger’s Syndrome and author, speaker, and advocate in neurodiverse community. Dr. Peter Vermeulen (not autistic) Ph.D. autism consultant, lecturer, and trainer at Autisme Centraal in Belgium. He has published more than 15 books and several articles on autism. Dr. Estevão Vadasz Ph.D. (not autistic) public figure (Brazil), Dr. Stephen Vadasz’s childhood and adolescent psychiatrist. He was chief instructor teacher’s childhood psychiatry sector and adolescence of Santa Casa de São Paulo and creator of PROTEA (autism spectrum disorders program) Institute of Psychiatry, Hospital das Clinicas, Faculty of Medicine, University of São Paulo. Tania Marshall, M.Sc. (not autistic) author of best selling books on females and Asperger’s Syndrome, psychologist, and advocate. Author of IPPY eLIT gold medal books I am Aspiengirl and I am Aspienwoman and 2016 & 2015 Autism Australia National recognition award nominee (advancement category). Does not publicly identify as on the spectrum. Temple Grandin, PH.D. professor, best selling author, speaker, well known autistic advocate. Steve Silberman author of the groundbreaking book, Neurotribes, and speaker. Steve’s site has a great resource list. Is not on the spectrum, but nonetheless awesome. Samantha Craft, M.Ed. teacher, writer, presenter, and author of Everyday Aspergers Blog and Book. Sam is autistic. Valerie Paradiz, Ph.D. is the director of Valerie Paradiz, LLC, a consultancy that provides technical assistance and strategic development to schools, universities, corporations and agencies that support individuals with Autism Spectrum Disorder. Amy Gravino autism specialist, author, college coach, autism consultant, public speaker. Kelly Margo advocate diagnosed with Pervasive Developmental Disorder-Not Otherwise Specified (PDD-NOS) a form of autism. Author of Defining Autism From The Heart and Autism and Falling in Love. John Elder Robinson author of best selling book, Look Me in the Eyes, and other books on Asperger’s Syndrome, speaker, and advocate. John is autistic. Taylor Orns autistic adult who is also an autism advocate. Margo Comeau “Life Asper Margo” public figure, autistic. Alex Wineman public figure, autism advocate, former Miss Montana, autistic. Jesse Saperstein author, autistic, anti-bullying and motivational speaker. Ron Sandison Christian author, speaker, advocate, autistic. Alis Rowe The Girl with the Curly Hair Project, high profile on Facebook, autism awareness, author of pictorial books. Alis is an adult woman with ASD. Mr. Chris viral YouTube creator advocating for neurodiverse children across the USA. Lindsey Nebeker Pianist, songwriter, and advocate. Diagnosed with autism. Appeared in documentary Autism In Love. Arman Khodaei autistic adult whose mission is to empower individuals with Asperger’s and on the autism spectrum to realize their full potential. Dani Bowman autism, animation, illustration, autistic. Phil Martin photographer, activist, autistic. Amber Black founder of Autisticfit Society, small-business owner, AADP Board Certified Practitioner, an International Figure Universe Pro, a fitness and nutrition expert, healer, world culture lover — and lives with autism. Dr. Lamar Hardwick pastor, author, autistic. Haley Moss author of two books, autism advocate, artist. Alex Plank filmmaker, actor, photographer. Consultant on FX’s former series The Bridge. Founder of well known Wrong Planet online forum. Kenneth Kelty public speaker, autistic, and author. Aaron Likens Easter Seals autism ambassador, “diagnosed with Asperger Syndrome at age 20,” author of Finding Kansas, and racing official. Chloe Rothschild a young adult who has autism, a writer, presenter, advisory board member, and advocate. 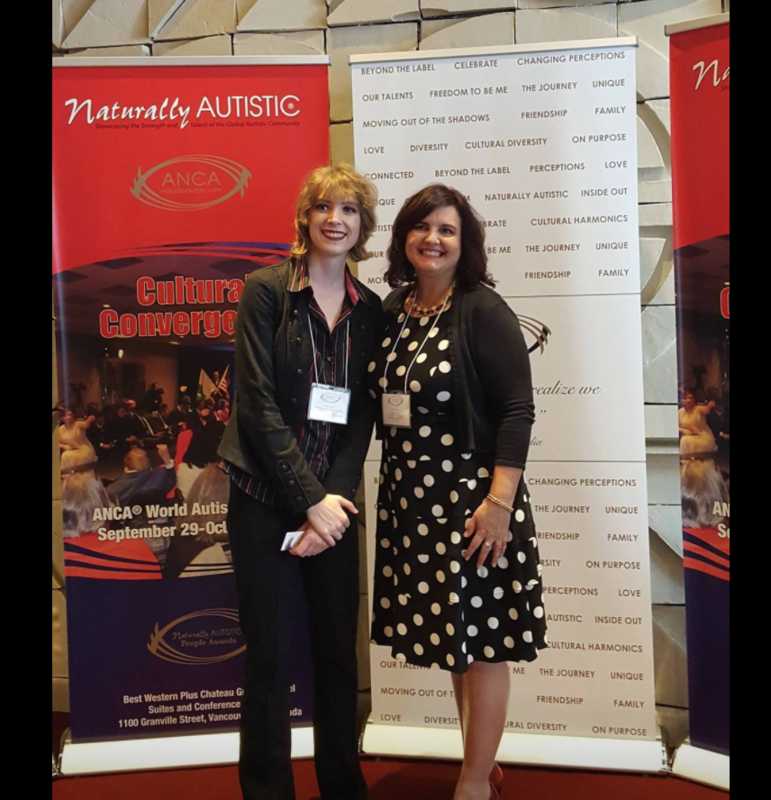 Anna Kennedy “Autism Ambassador,” promoting the inclusion and equality of children and adults. Ms. Kennedy has sons on the autism spectrum. Heather Kuzmich model, spokesperson, diagnosed with Asperger Syndrome and ADHD at the age of 15. Rudy Simone, author and singer, with best selling books on females and Aspergers. New book due out in August 2017. Her blog. Monique Blakemore activist, speaker, researcher and writer with a focus on autistic rights and women. Ronnie Pinder UK based advocate, married father of 5, diagnosed with autism in his 40s. A public speaker, giving talks on autism and on receiving a diagnosis as an adult. Kevin Healey ambassador, author, autism campaigner, making autism film, anti bullying campaigner. Henny Kupferstein M.A.student of psychology and autistic savant; published autism research and a book endorsed by Temple Grandin. Gives Skype piano lessons to non-verbal autistic students around the world, and am a parent of autistic children. Alix Generous: Alix Generous is a professional speaker, neuroscientist, author, tech consultant, and observational comedian. Her TED talk “My Inner Life…” has received over 1.4 million views. Through high impact media, comedy, and creative storytelling, she advocates for scientific literacy, child welfare, and for the advancement of Mental Diversity in STEM and the entertainment industry. From 2013 to September 2016, she was the co-founder for Podium (formerly AutismSees), a social impact company that creates technology to help high functioning autistic millennials improve their presentation skills. Peter William Craig McFeely Reiki healer located in Oxford, trains in and works in karate, positively encourages ASD people and their families to enjoy the positive benefits of training in this martial art. Being an Aspie he has first hand knowledge of how karate has benefitted his own life. Kimberly Gerry Tucker expresses the challenges of selective mutism and Aspergers in her artwork which shows at AANE, in Boston, and with Art of Autism (among other places). Also a parent to an adult on the spectrum, she has been publishing about autism since 1999, in her memoir in 2012. She is passionate about art as therapy, environmental issues, and advocating for those with no audible voice. Jules Roberston an actor who plays Jason Haynes in BBC’s ‘Holby City’. He is a youth patron for the charity Ambitious About Autism. Ian Adam Bellamy works as a Project Officer at Ambitious About Autism. Alex Lowery is Youth Patron at Ambitious About Autism. Robyn Steward is an autism and Asperger’s trainer and the author of “The Independent Woman’s Handbook to Super Safe Living on the Autistic Spectrum”. Dami Benbow a participation co-ordinator at Ambitious About Autism. Adam Bradford a social entrepreneur. George Harvey provides autism awareness talks in schools. Dr Valerie Paradiz a strategy consultant and a National Board Member of Autism Speaks. Many of the individuals listed at Celebrity Supporters of the National Autistic Society are on the spectrum, including Chris Packham, Alex Gardner, and Elisabeth Wiklander. Sheryl Wing is a lifelong artist from Maine who specialized in floral design and now focuses her time painting. Here is a link to her art blog. Jasmin Egner a German actress and artist, autism and animal rights advocate, based in Scotland. Diagnosed with Asperger’s Syndrome at the age of 38, after previous misdiagnosis. Psychology student developing a coaching program for those struggling to make their voices heard. A special thanks to Sean Walker for sending me his long list of autistic people and to Judy for her list of autistic blogs.